This 2006 Honda Pilot EX-L is offered to you for sale by Okaz Motors. When you purchase a vehicle with the CARFAX Buyback Guarantee, you're getting what you paid for. The Honda Pilot is the benchmark all other SUVs strive to meet. With exceptional power, towing and handling, this SUV can handle anything thrown at it. Taking the road less traveled has never been more fun than with this 4WD. With improved performance, mileage and acceleration, this 2006 4WD Honda Pilot EX-L is king of the off-road. Added comfort with contemporary style is the leather interior to heighten the quality and craftsmanship for the Honda Pilot Feel at ease with your purchase of this Honda Pilot EX-L, all records are included allowing you to truly know what you're buying. 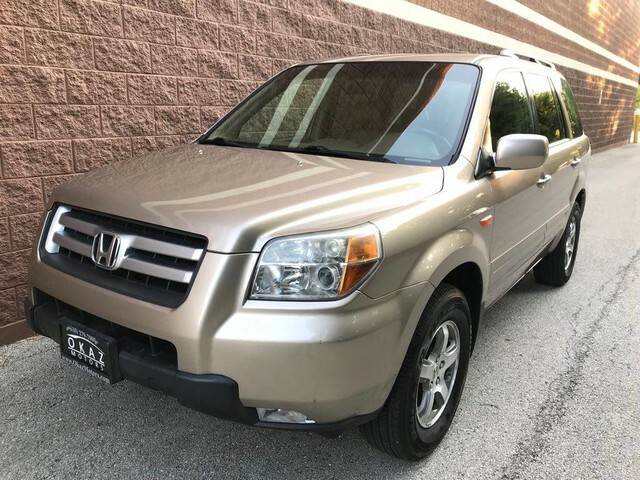 Adjectives like impeccable, spotless, and immaculate can be used to describe how clean this Honda Pilot EX-L is, causing it to feel more like a new vehicle than a pre-owned one. A simple firing of the ignition is all you need to know this awesome machine has speed. The kind that is supercharged with adrenaline. Fully Serviced this Truck have Brand New timing belt and water pump.